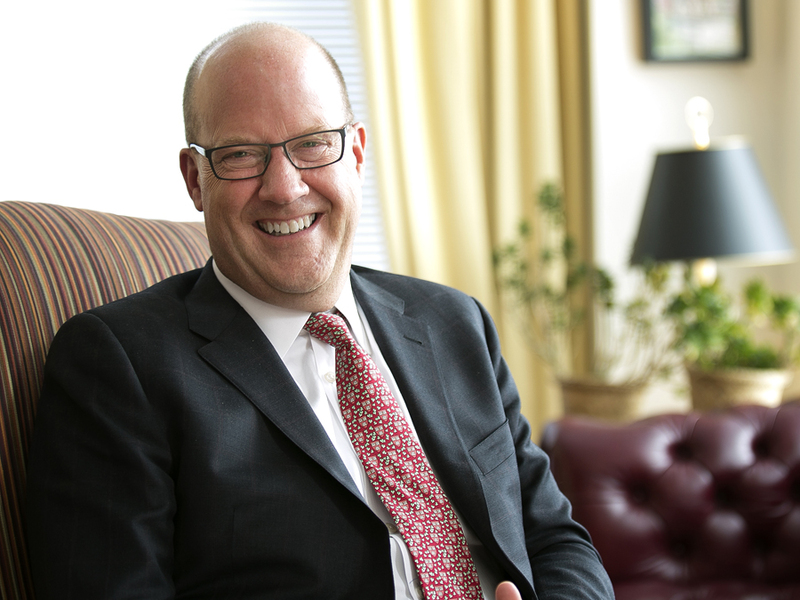 Philip W. Lovejoy, deputy executive director of the Harvard Alumni Association (HAA), has been appointed executive director, succeeding John P. (Jack) Reardon Jr. ’60 in that role effective July 1. The executive director leads HAA's approximately 40-person staff, who are responsible for club and shared-interest-group operations, education and travel programs, international outreach, digital communications, class reports, reunions, and more. The transition to Lovejoy should be seamless, since he has had an increasingly broad operating portfolio at HAA for a decade. Given the public unveiling of The Harvard Campaign last September, and the associated intense focus on alumni engagement, it is no doubt comforting to the University’s alumni affairs and development leadership that the search for Reardon’s successor at HAA found the ideal internal candidate, and so could maintain continuity in operations. Lovejoy, a graduate of Trinity College, became director of external affairs for the then-Harvard Museum of Natural History in 1998 (the museum has a travel program, and he had previously worked in the travel industry). It was a natural move to HAA, where he was associate director of alumni education, including HAA’s extensive travel offerings, from 2004 to mid 2006, before becoming director of University-wide alumni affairs, and subsequently assuming the overarching responsibilities he exercises now—including, recently, the launch of HarvardX for Alumni online content. He also chairs the board of directors of the Boston Center for the Arts. Read the announcement here. Further details, including the membership of the search committee, appear here.